The SIS 656 Northbridge chipset brings PCI-express and dual-channel memory to the lineup of budget SIS-based Socket 775 boards. Both DDR and DDR2 memory are supported up to a maximum of 4GB. Only one DDR type can be supported on any given motherboard based on the chipset though, meaning that manufacturers will have to choose between DDR and DDR2 support. Since the SIS 656 chipset only (officially) supports 800MHz FSB and below Pentium 4 processors, DDR is likely to be the overwhelming choice to the point where PCstats finds it unlikely that any DDR2-based SIS 656 motherboards will be produced. Apparently both ECC and non-ECC memory are also supported. 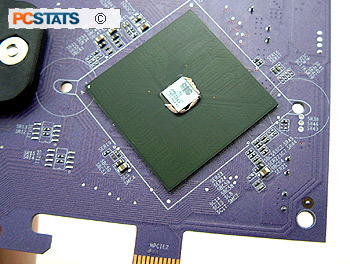 The SIS 656 chipset represents SIS’s first foray into PCI Express compatible designs. A PCI Express x16 graphics slot brings the chipset up to par with current video technology. Interestingly, the SIS 656 seems to allow for only a pair of PCIe x1 connectors connected through the SIS 956 Southbridge chip, suggesting that the chipset has only 18 lanes of PCI Express as opposed to the 20 lanes used by most of its competitors. Since PCstats has yet to see a PCI Express expansion card ‘in the wild’, let alone one that would require an x2 slot rather than an x1, this doesn’t seem like much to worry about, especially if it keeps costs down. The proprietary SIS ‘Multiol’ connection continues to provide the data backbone between the north and Southbridge chips, the 16-bit 533MHz connection providing a total bandwidth of 1GB/s. The SIS 756 chipset represents the AMD-based half of this equation, supporting all Socket 939 Athlon 64/FX and Sempron processors. There’s no word from the company on whether Socket 754 CPUs will also be supported. Dual-channel DDR memory support covers up to 4GB of physical RAM. The SIS 756 chipset introduces PCI Express to SIS’s AMD lineup in the same way that the SIS 656 chipset does so for Intel processors. Again, one PCIe x16 slot will be available for graphics cards while the SIS 965 Southbridge chip supports another two x1 slots for peripherals. Unlike competing Athlon 64 chipsets from nVidia, the SIS 756 uses a separate Southbridge chip, the same SIS 956 I/O circuit used by the Intel-based SIS 656. To link the Northbridge and Southbridge together, SIS has used their proprietary Multiol link with 1GB/s of bandwidth. Both of the above chipsets from SIS will partner with the new SIS 965 Southbridge through a 1GB/s Multiol link. The I/O chip supports a pair of PCI Express x1 slots (no word on whether these PCIe lanes can be combined into a single x2 slot), four SATA 150 channels, two conventional IDE controllers, an onboard Gigabit LAN adaptor and 8 USB 2.0 ports. Built-in RAID support is present for the SATA ports only, and comprises of RAID 0, 1, 0+1 and JBOD modes. While the SIS 965 Southbridge’s feature set is considerably ahead of what we’ve seen from SIS in the past, it still lags behind its nVidia and Intel competition slightly. SATA II support would have been welcome, but users will have to wait for the SIS 966 chipset before that standard is supported.